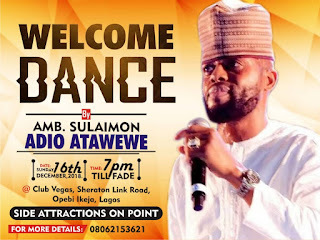 Fuji music ambassador Sulaimon Adio popularly called Atawewe arrived Nigeria on Friday after 10 weeks tour to America and Europe. Remember The City Pulse News exclusively report that the fuji ambassadors spent just three hours in Nigeria after the America tour and left for Europe. However, the fuji star is finally back to his fatherland to continue doing what he knows how to do best. Meanwhile, CEO Entertainment, Forsure Music, City Pulse Ent. 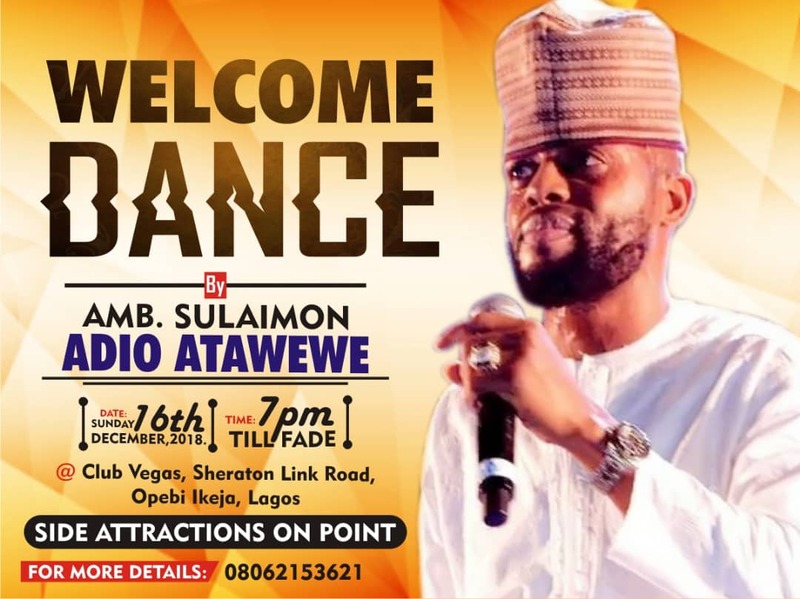 El Bambino Records has put together a welcome back party for the Fuji crooner on today, Sunday Dec.16, 2018 at the prestigious club Vegas located at No 1 Sheraton Link road Opebi, Ikeja, Lagos. The event is set to commence by 7pm till mama’s call.